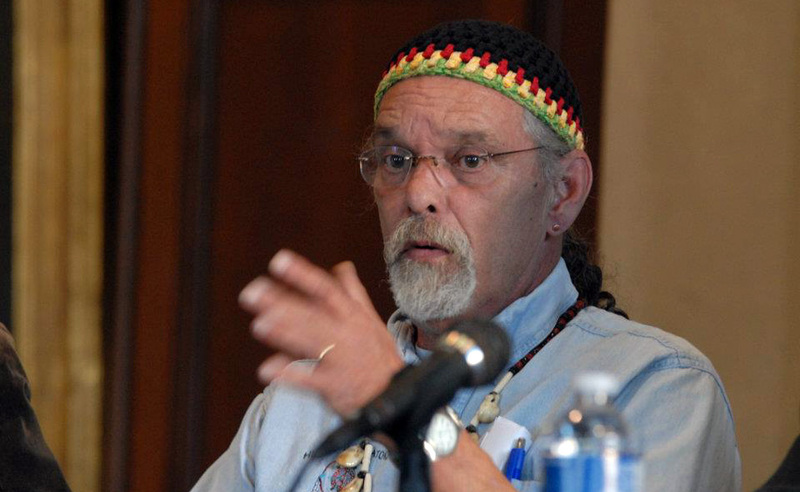 Lawrence “Pun” Plamondon is a former activist and co-founder of the White Panther Party. 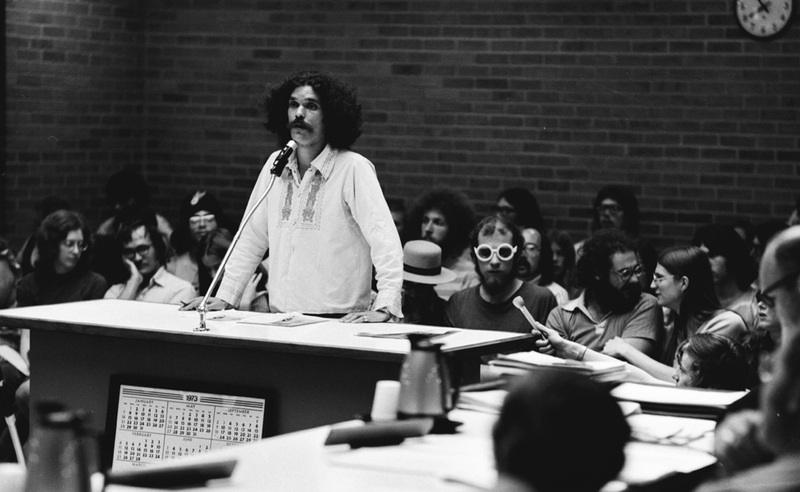 He was the first hippie to be listed on the FBI’s Ten Most Wanted Fugitives list. Plamondon’s father was half-Odawa and his mother was part-Ojibwe, which he was unaware of early in life. A Traverse City, Michigan couple adopted him and gave him his name, Lawrence Robert Plamondon. Plamondon had a troubled childhood and left home as a teenager. At the age of 21, Plamondon was in Detroit, Michigan in 1967, when the protests against the Vietnam War and riot occurred. Making sandals during the day and smoking pot in the evening, he was soon meeting with John Sinclair. In 1968, Plamondon and a few friends moved to Ann Arbor, Michigan where they established a commune at 1510 Hill Street. With John Sinclair, they founded the White Panther Party, which supported the goals of the Black Panther Party. He was indicted for bombing a CIA office in Ann Arbor on September 29, 1968. Changing his appearance, he went underground and fled to San Francisco, Seattle, New York, Germany, Italy, and finally to Algeria. In May 1970, he was listed on the FBI’s Ten Most Wanted Fugitives list. After a few months he covertly returned to the United States. In July 1970, Plamondon was discovered and arrested after being stopped for littering. While waiting trial and after being convicted, he spent 32 months in federal prison. During the trial, the government admitted to wiretapping without a warrant. The case went to the United States Supreme Court and was decided in United States v. U.S. District Court, which held that even the invocation of “national security” by the president of the United States couldn’t insulate illegal activity from Constitutional rights to privacy (407 U.S. 297 1972). The charges were dismissed. Later, Plamondon found work driving equipment trucks for rock bands including Kiss and Foreigner. Plamondon lives in Barry County, Michigan with his wife Patricia Lynn. He is a self-employed carpenter. He tells American Indian stories to young children at schools, libraries, museums, and summer camps. His home is a gathering place for American Indian celebrations.